MS just released a new build of WP10, and I tested it with AIDA64 ver. 1.1.0.6.
and the send buttom will not auto fill the reciever address , but the Submit report link on the About page can,and the mail the app creates now have a .txt attachment. 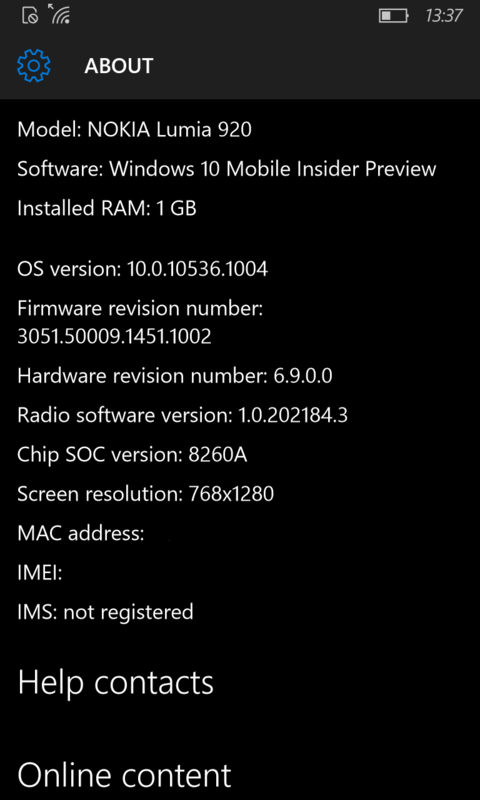 By the way, MS have a app called Field Medic, which can monitor and gather much more info about the phone. Can AIDA64 do the same? Please let me know the "RM" model ID of your phone, and we'll fix it up in the next app update. In your other post I can see "RM-822", but I'm not sure if that's the actual Lumia 920 model you mean. It works fine this way. The email icon is meant to be used to send the report to your email address of choice, while the other two email submit options are meant to be used to submit a report to us (FinalWire). The report submitted to us helps to fix bugs and improve the capabilities of the app, and that's why those reports include some degree of debug information. and the mail the app creates now have a .txt attachment. can you fix this? We cannot fix that, actually. The problem is that even though AIDA64 uses the same standard email sending API, Windows 10 (including Windows 10 for PCs and Windows 10 Mobile) fails to pass the whole report to the email client. So if you try to submit a report on a WP8.1 device, the whole report will be passed to the email client; but under Win10 the report will be truncated. Sadly, the same bug plagues universal Windows 10 apps as well. What we can do on our side as a workaround is to attach the report to the emails as a TXT file. That way the report included in the email body will be truncated, but the attached file will have the complete report. We never wanted to attach the report to emails, since we were certain Microsoft would fix this bug in one of the Preview builds. But since both Windows 10 RTM Build 10240 and the latest (and supposedly almost RTM) Windows 10 Mobile Preview build still has this issue, we gave up and attached the report to the emails. As soon as Microsoft fixes the email API bug, we will remove the attachment again. No, I'm afraid it can't. Regular apps have normal access to the API set of WP8.x and Win10 Mobile, while built-in apps like Settings and special apps developed by Microsoft can have special (broader) access to the Windows kernel. What is especially frustrating is that Microsoft doesn't provide a public API (not even a read-only one) to access more system details. The Windows kernel -- including the one used by Win10 Mobile and even WP8.1 -- can do a lot of very interesting tricks like SoC temperature and CPU core clock measurement, but Microsoft doesn't expose those features via a standard API call, so apps cannot access those readings. In your other post I can see "RM-822", but I'm not sure if that's the actual Lumia 920 model you mean. 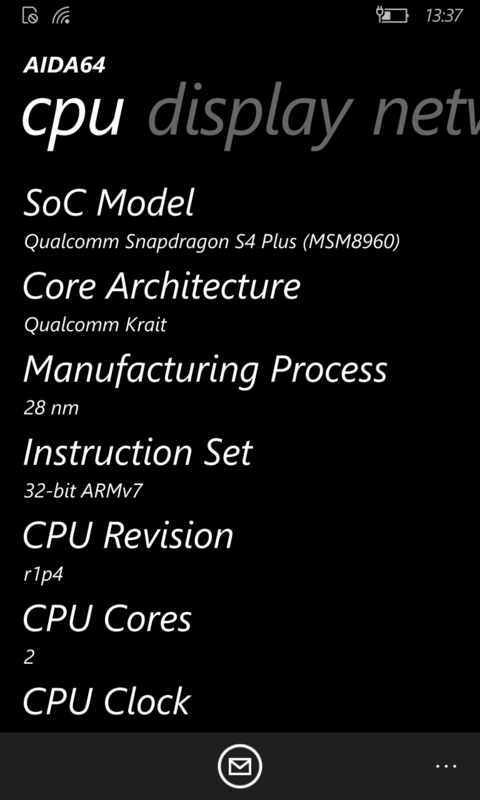 It is RM-822, MS chose 8260A instead of 8960 for Lumia 920 in China and Vietnam markets. Thank you, we will fix the issue in the next AIDA64 app update due in a few days from now.